Lightening Thoughts LLC is the leading developer of Intelligent Tutoring System, a.k.a. Adaptive Learning System. Its ground-breaking technology came from the research at State University of New York at Stony Brook, by a team of computer scientists, mathematicians, and software engineers with the support of a multi-million-dollar grant from the National Science Foundation. 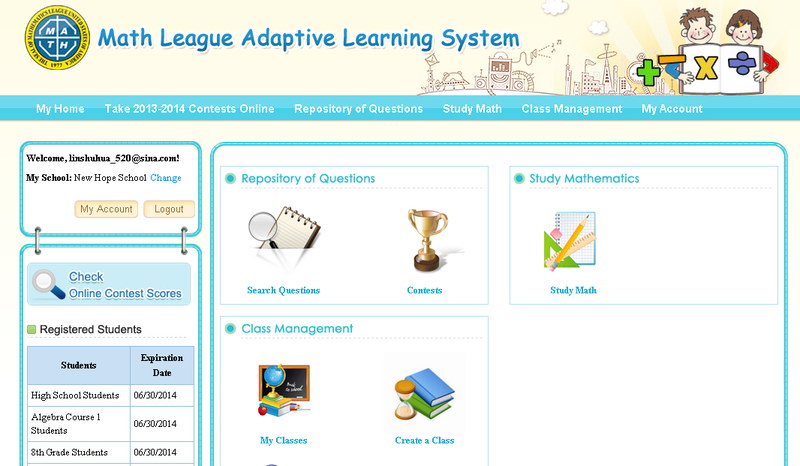 Math League Adaptive Learning System, is co-developed by Math League,, and Lightening Thoughts LLC. At the heart of Math League Adaptive Learning System is an artificial intelligence engine that assesses each student individually and continuously and teaches student critical thinking and problem solving skills efficiently and effectively. – Contrary to traditional educational software, it is not static preprogrammed system. – A comprehensive resource, well organized, and easily accessible on the web that can be used to supplement, remediate, and enhance student’s skills. – Instead of delivering a one-size-fit-all form of education, our system customizes the education to fit each student’s individual way of learning. – Our system helps to transform from an instructor-focused teaching process to a student-focused collaboration process. – Instead of lecturing, our system interacts with students and helps them discover for themselves. – Instead of isolating students, our system encourages them to collaborate. – An enriched practice resource that promotes student’s understanding, comprehension, and self-confidence, addressing the needs for both those struggling with basics and those needing more academic challenges. – Encourages parental involvement, a cornerstone of academic progress and a key determinant of a child’s cognitive development. The shared learning experience in turn fosters a relationship between the child and the parent.